Ilir Zherka joined the Alliance for International Exchange as Executive Director in early 2016. He is a life-long human and civil rights leader and has served as the Executive Director of three other organizations, where he worked on a bipartisan basis to help end ethnic cleansing in Kosovo, advance DC representation in Congress, and increase civic engagement. 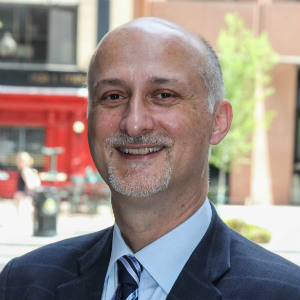 Ilir gained policy and political experience working with Congressman George Miller, serving as an advisor to four presidential campaigns, and as a political appointee in the Clinton Administration. Ilir is the author of Winning the Inside Game: the Handbook of Advocacy Strategies. He has testified before Congress and has appeared on a wide-range of television and radio news programs. As a recognized community leader, Ilir has received numerous awards including the Whitney M. Young Jr. Leadership Award and the John F. Kennedy Public Service Award. Ilir has personal experience with exchange programs having been an IREX fellow in Albania and helped to create the Hope Fellowship program. He is a graduate of Cornell University and the University of Virginia School of Law. Ilir is Albanian-American and immigrated as a child with his family to the United States. He speaks Albanian and grew up in New York City.